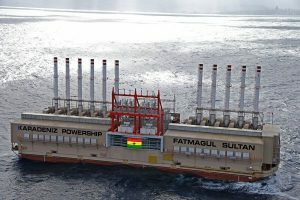 Since December 2015, commodities trading company, Trafigura, has delivered 30,000 tonnes of fuel oil per month to the Aysegul Sultan, the 225megwatts Karpowership in Ghana, under a 12-month contract. The advantage of Powerships is that they offer a fast and flexible way of boosting generation capacity without needing to undertake the lengthy planning and heavy up-front capital expenditure required for an on-shore power plant,” it said. 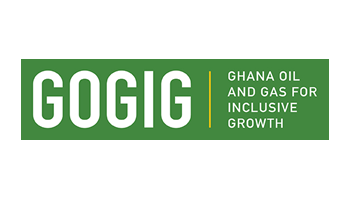 “By helping the country generate electricity, you foster a more stable economic environment which is more beneficial for future economic growth, “says Josh Grizzle. Karpowership is the only owner, operator and builder of the first Powership (floating power plant) fleet in the world. Since 2010, nine Powerships have been completed with total installed capacity exceeding 1,500 MW. Additional 6,000 MW of Powerships are either under construction or in the pipeline. Karpowership’s current fleet supplies 15% of Southern Iraq, 27% of Lebanon, 22% of Ghana, 16% of Zambia and 31% of North Sulawesi, Indonesia’s total electricity generation with four more Powerships scheduled to be deployed throughout Indonesian Archipelago in 2016. Karpowership is a member of Karadeniz Energy Group, Istanbul, Turkey. As of today, Karadeniz has more than 1,800 employees and is expanding through renewables, Powerships and other innovative energy supply solutions. Founded in 1993, the Trafigura Group has become one of the world’s leading independent commodity traders, specialising in the oil, minerals and metals markets. The company has achieved substantial growth in recent years, growing revenue to USD97.2 billion in 2015. Primary trading activities are the supply and transport of oil and petroleum products and metals and minerals. The trading business is supported by industrial and financial assets including global oil products distribution company Puma Energy; joint venture company DT Group; global terminals operator Impala Terminals and Trafigura’s Mining Group.